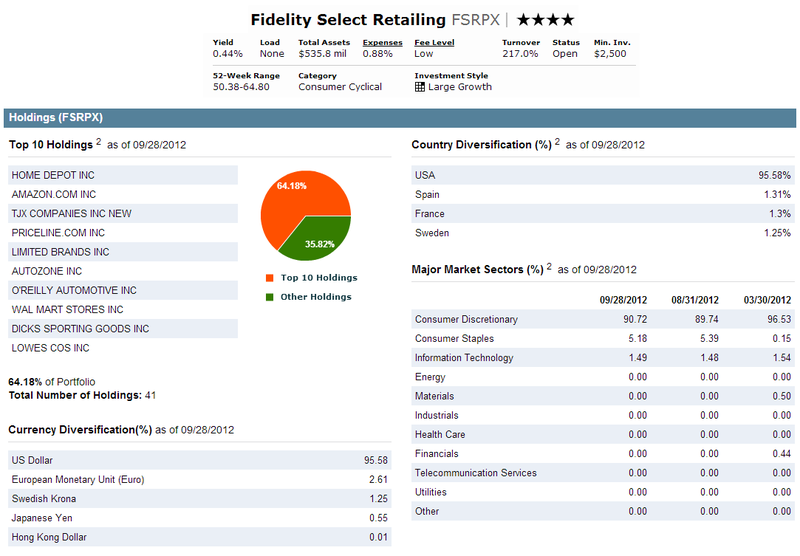 Fidelity Select Retailing Fund (FSRPX) is a consumer cyclical mutual fund. This sector stock fund invests in equities of companies which operate in merchandising finished goods and services to consumer. The Fidelity Select Retailing Fund aim is to seek capital appreciation. The mutual fund utilizes its assets to purchase common stocks of companies engaged in merchandising finished goods and services primarily to individual consumers. The fund invests in domestic and foreign equities. The fund management uses fundamental analysis of factors such as financial condition and industry position, market and economic conditions to choose its investments. This fund is non-diversified. 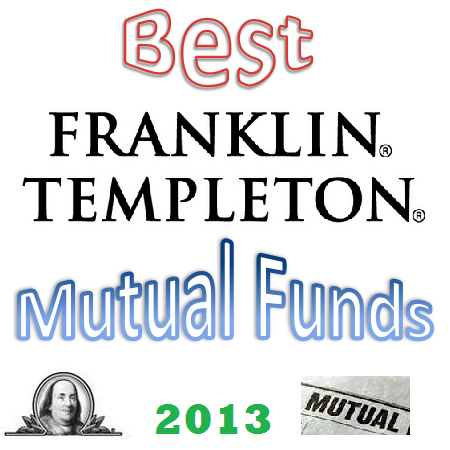 The 30 best Franklin Templeton mutual funds for 2013 include Templeton Global Bond Fund, Franklin CA High Yield Municipal, Franklin Income, Mutual Global Discovery, etc. Franklin Templeton Investments offer three types of mutual funds: Franklin mutual funds, Templeton mutual funds, and Mutual Series. These mutual funds series offer various different classes or categories of mutual funds. The fund categories include world bond, emerging markets bond, money market, tax free income, growth, world allocation, value stock, global stock, balanced, etc. Typically the Class A funds have sales load. You can invest in Class R or Class Z or Advisor Class for no load funds. These no load Franklin Templeton mutual funds are available through retirement account (IRA) or 401(k) account or other regular brokerage account. 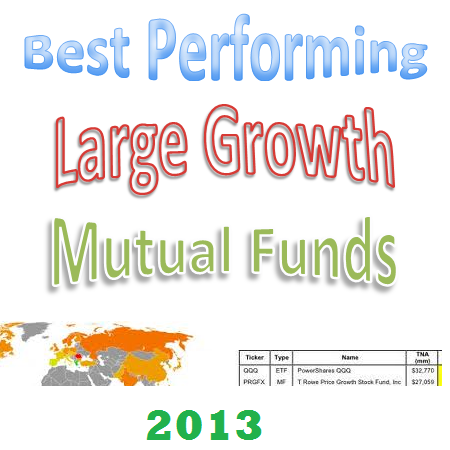 These best mutual funds are sorted based on its performance and quality. You can find various funds to invest in. Please check the fund prospectus for investment risk, fund details, etc. The top performing large growth mutual funds February 2013 are Matthew 25 fund, Hartford Growth Opportunities, Parnassus, Federated Kaufmann Large Cap, etc. Large growth funds focus its investment in huge U.S. companies with higher grow potential than other large cap stocks. These large growth stocks have higher growth rates for earnings, sales, book value and cash flow. The stock prices have high valuations as well in term of high price ratios and low dividend yields. The list is sorted based on the 1 year total return up to February 1, 2013. You can find fund review below. Other information such as expense ratio, management, top holdings, top sector, sales load, and shares price can be found as well. 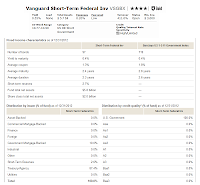 Vanguard Short-Term Federal Fund is a no load taxable bond mutual fund. It focuses its investment in short-term bonds issued by the U.S. government. The Vanguard Short-Term Federal Fund objective is to seek current income while maintaining limited price volatility. The mutual fund invests >80% of assets in short-term bonds issued by the U.S. government and its agencies and instrumentalities. It is expected to maintain a dollar-weighted average maturity of 1 to 4 years. 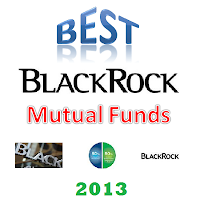 Best BlackRock mutual funds for 2013; top stock, bond funds by BlackRock Inc. The 20 best mutual funds for 2013 are BlackRock US Mortgage Portfolio, BlackRock Equity Dividend fund, BlackRock High Yield Bond, BlackRock National Municipal, etc. BlackRock is not only famous for its iShares ETFs. It is one of the world’s biggest asset management firms. It currently has more than $3.6 trillion of assets in its management. It offers services in >60 countries to individuals, corporations, and governments around the world. Larry Fink is the current BlackRock CEO. 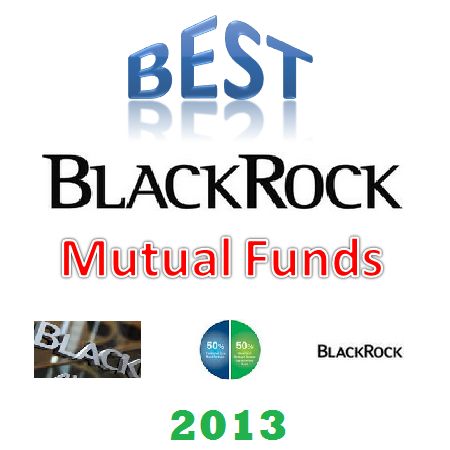 These best BlackRock mutual funds for 2013 are selected based on its performance history. The class A funds do have sales load. You might want to select other classes which don’t have any sales load and lower expense ratio fee. The funds are ranked with 3 star rating or higher by Morningstar. You may find the fund review below and other fund information. I also have selected my favorite funds below. John Hancock Regional Bank Fund (FRBAX) is a financial sector stock fund. This mutual fund focuses on equities of financial related companies including banks. The investment objective of John Hancock Regional Bank Fund seeks long-term capital appreciation. Its second objective is to seek moderate income. This stock mutual fund uses its assets to buy equities of regional banks and lending companies such as commercial and industrial banks, savings and loan associations and bank holding companies. It may also invest in other U.S. and foreign financial services companies or lending companies and money center banks. It may invest < 5% of assets in non-financial services sectors and < 5% of net assets in junk bonds. 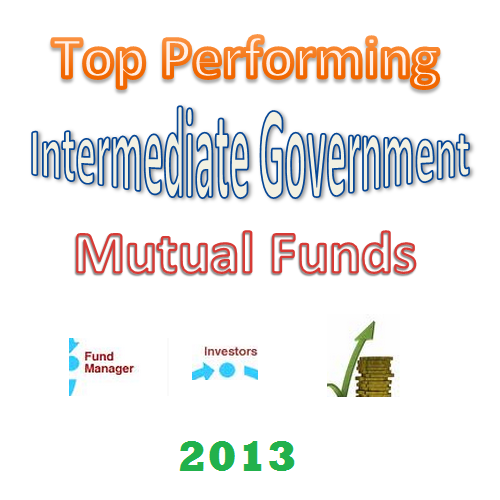 The best performing intermediate government mutual funds February 2013 are Morgan Stanley Mortgage Securities, Western Asset Mortgage Backed Securities Fund, etc. 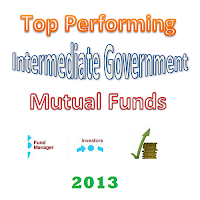 The intermediate government mutual fund is part of taxable bond mutual fund. It invests mainly in debts or bonds backed by the US government or its agencies. It may invest in U.S. treasuries, GNMA, and other government bonds. Typically, this fund has durations between 3.5 and 6 years. The volatility is moderate (between short government and long government bonds). 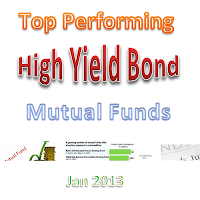 This top performer bond mutual fund list is sorted based on its 1 year total return performance up to February 4th. You can find the fund review, expense ratio, yield, ranking, share price, management, top holdings, credit rating, etc. 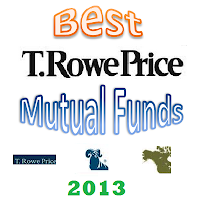 Best T. Rowe Price mutual funds for 2013; top bond, stock, balanced fund by T. Rowe Price. Top 30 funds for 2013 are T. Rowe Price Capital Appreciation Fund, T. Rowe Price New Horizons, T. Rowe Price New Income, T. Rowe Price Retirement Income, etc. T. Rowe Price is founded by Thomas Rowe Price, Jr in 1937. It is one of the oldest investment firms in the United States. T. Rowe Price has over $556 billion of assets under management. It offers a wide selection of mutual funds, sub-advisory, and account management services. It also provides 401(k) account, retirement account, and brokerage account. It offers services for individuals, businesses, and corporations. These best T. Rowe Price mutual funds for 2013 are selected based on its performance history and transaction fee. These TRP funds don’t have sales load and transaction fee. The funds are ranked with 4 star rating or higher by Morningstar. You may find the fund review below and other fund information. I also have selected my favorite funds below. The top performing Europe stock mutual funds February 2013 are DFA United Kingdom Small Company fund, Invesco European Small Company, T. Rowe Price Emerging Europe Fund, etc. Europe stock mutual funds invest primarily in stocks of European companies. They invest especially in developed countries such as Britain, the Netherlands, France, German, Spain, Italy, and Switzerland. It may invest in small European countries especially the emerging markets of Eastern Europe. Depending on the fund’s objective it may invest in large cap, mid cap, or small cap companies. The top performing list is sorted based on its 1 year total return performance. Investors can find the review and other fund information such as expense ratio, fund manager, yield, turnover rate, sales load, top holdings, top sectors, etc. 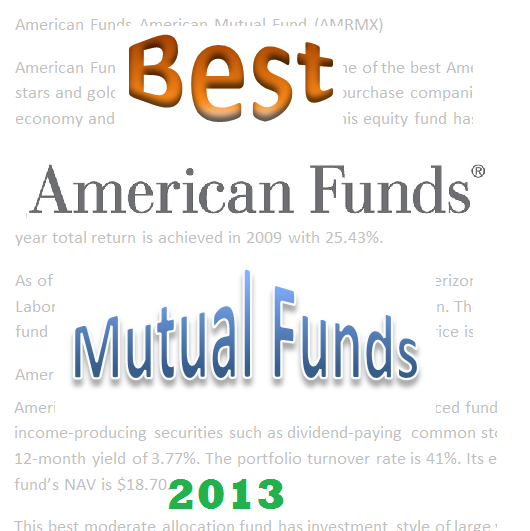 Best American Funds mutual funds for 2013; top stock, bond, balanced fund by American Funds. The top 27 American Funds for 2013 are American Funds American Mutual Fund, American Funds Income Fund of America, American Funds EuroPacific Growth, etc. American Funds is the second largest mutual fund family with over $1 trillion in assets under management, behind Vanguard Investment. It provides superb funds for investors; however some of the funds have been lagging behind their peers. This fund is managed by Capital Research and Management, part of the Capital Group Companies. 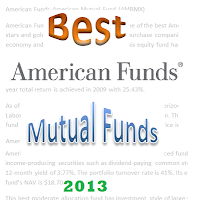 These best American Funds Mutual Funds for 2013 are selected based on its performance history. The class A fund has a front end sales load. If you want a no load fund, you may need to find other classes. It offers Class B, Class C, Class F-1, Class F-2, Class R1, Class R2, Class R3, Class R4, Class R5, Class R6, Class 529A, Class 529B, Class 529C, Class 529E, Class 529F, etc. Class R6 is typically has no sales load and lower expense ratio fee. Most of the American Funds are offered in your retirement account through 401(k) account, Traditional IRA, Roth IRA, etc. You can invest in this fund from your regular brokerage as well. This American funds family has a low minimum initial investment requirement of $250. 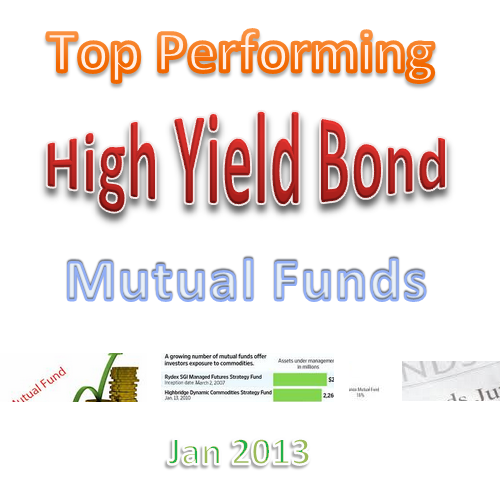 The top performing high yield bond mutual funds January 2013 are John Hancock High-Yield Fund, MainStay High Yield Opportunities, Nuveen High Income Bond, etc. High bond mutual fund provides higher yield income to investors. It focuses its investment on lower-quality bonds, which are riskier than higher-quality companies bonds. This fund invests mainly in U.S. high income debts or also known as junk bonds. The bond assets are typically rated at the BB level or not rated. You can find this top performer list is sorted based on its 1 year performance up to January 2013. You may find the fund review information such as expense ratio, turnover rate, yield rate, average duration, management, fund’s shares price, etc. Best PIMCO mutual funds for 2013; top bond, stock, balanced mutual funds by PIMCO Investments. 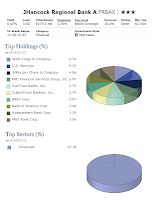 Top PIMCO mutual funds for 2013 are PIMCO Income fund, PIMCO All Asset All Authority fund, PIMCO Investment Grade Corporate Bond, PIMCO Total Return, etc. PIMCO is a global investment management firm that manages investments for over 8 million people worldwide. Bill Gross is the founder of PIMCO or Pacific Investment Management Company, LLC. Bill Gross is also the Co-CIO (Co-Chief Investment Officer). Another Co-CIO is Mohamed A. El-Erian. El-Erian is also the CEO of PIMCO. The PIMCO funds are now exclusively distributed by Allianz Global Investors Funds. 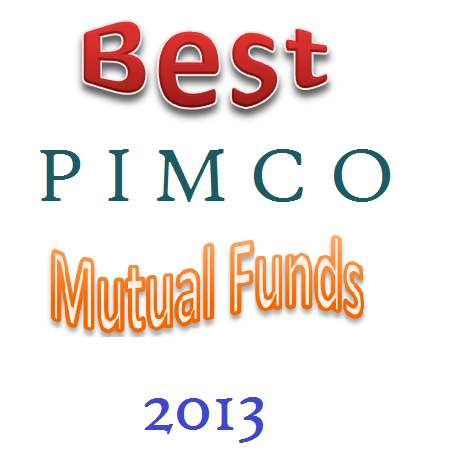 These best PIMCO mutual funds for 2013 are selected based on its performance history. The funds are ranked with 3 star rating or higher by Morningstar. You may find the fund review below and other fund information. The class A funds do have the sales load. If you are investing in 401(k) account, you can choose institutional class of these funds. These institutional class funds don’t have the sales load; the expense ratio is lower than other classes as well. If you don’t have this choice in your retirement account or 401(k), you can select Class D for no load funds. 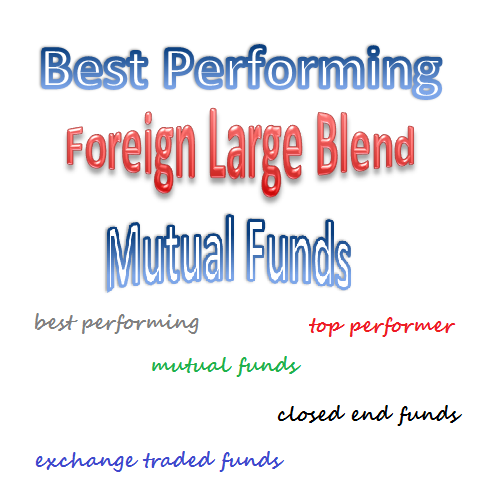 The 20 top performing foreign large blend mutual funds January 2013 are Oakmark International I, PIMCO International StocksPLUS TR Strategy Fund, TIAA-CREF International Equity, etc. 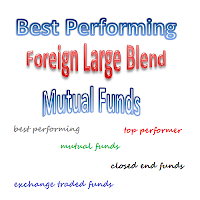 This foreign large blend mutual fund invests mainly in various big international stocks located in developed countries such as United Kingdom, Japan, France, Germany, Switzerland, Spain, etc. The blend style is assigned to portfolios where neither growth nor value characteristics predominate. These top performers are sorted based on its 1 year return (up to February 2013). You can find the fund review from this article. Other fund information can be found below such as expense ratio, Morningstar rating, fund’s NAV, managers, fund’s holdings, yield, etc. The 25 best Vanguard mutual funds 2013 are Vanguard Dividend Growth Fund, Vanguard Equity-Income, Vanguard Wellesley Income, Vanguard Target Retirement 2010, etc. Vanguard Group Inc provides ton of options for investing. It offers retirement investing, ETFs, mutual funds, IRAs, 401(k) plan, brokerage, and more. As one of the largest mutual fund providers, it has more than $2.0 trillion in assets. There are more than 130 mutual funds to choose from. 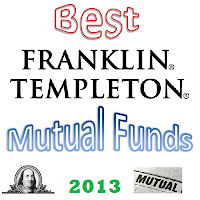 These best Vanguard mutual funds for 2013 are selected based on its performance history and transaction fee. 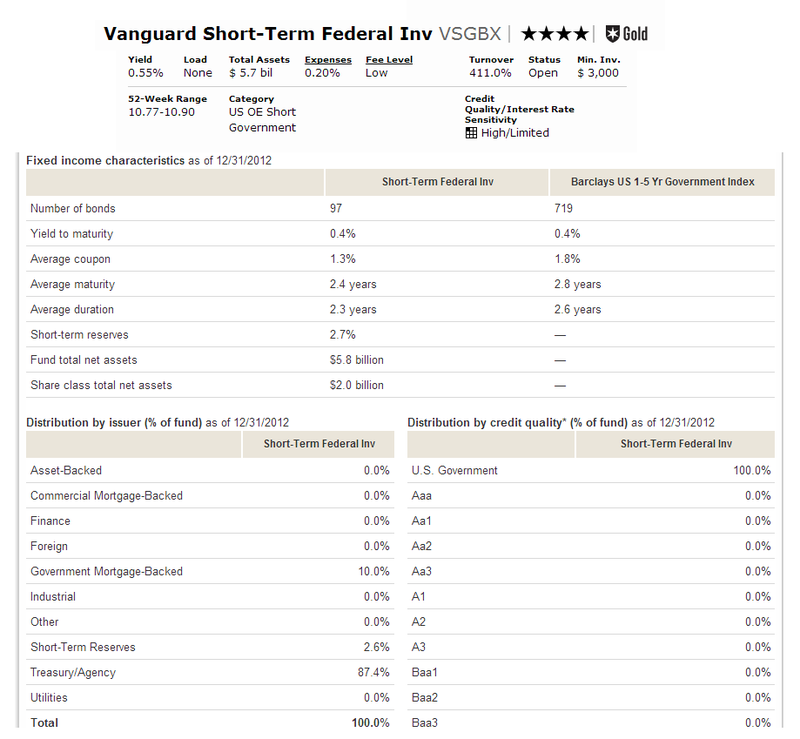 These Vanguard fund doesn’t have a sales load and transaction fee. The funds are ranked with 4 star rating or higher by Morningstar. You may find the fund review below and other fund information. 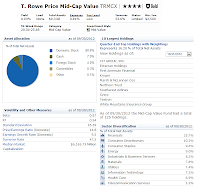 T. Rowe Price Mid-Cap Value Fund (TRMCX) is a domestic mutual fund. It focuses its investment in U.S. common stocks with midsize market capitalization. 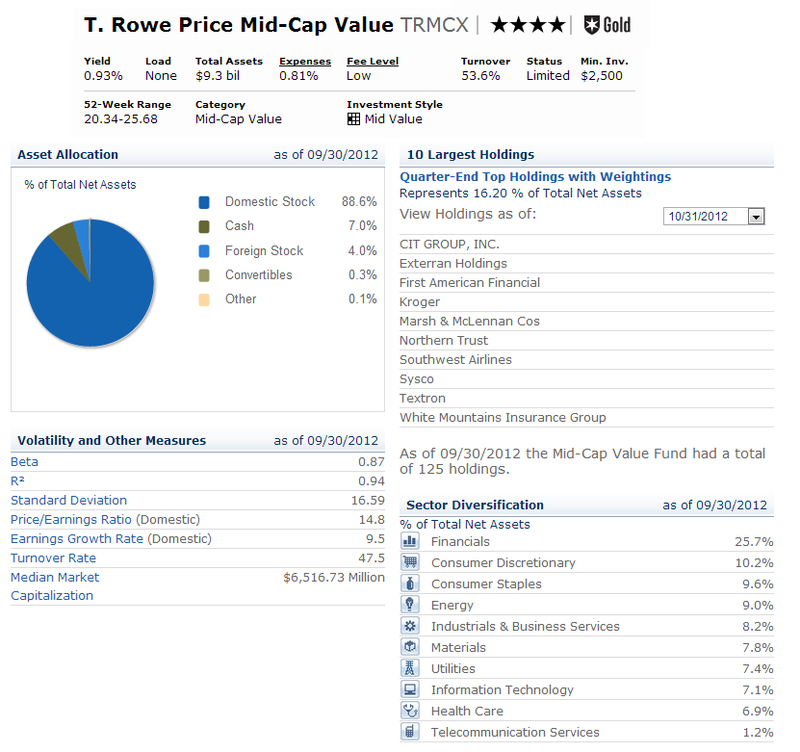 The investment aim of T. Rowe Price Mid-Cap Value Fund is to achieve long-term capital appreciation. The mutual fund will invest > 80% of its net assets in companies whose market capitalization is similar to the range of the companies in either the S&P MidCap 400 Index or the Russell Midcap Value Index. It may invest in foreign stocks.